However, U.S. Customs and Border Protection has asserted that it cannot provide accelerated payment of drawback claims under the TFTEA changes (which essentially nullifies their benefit) until calculation provisions under the implementing regulations become final. 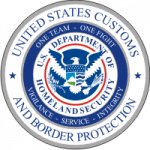 TFTEA required U.S. Customs and Border Protection to issue those regulations by Feb. 24 but the rules have been held up in interagency review. In June the Court of International Trade declined a request to order CBP to pay accelerated drawback, and in a July 19 letter Brady and Reichert said CBP’s continuing refusal to do so “has greatly complicated drawback claims.” As a result, they agreed with the CIT that the administration should issue regulations for important pieces of the package that satisfy the TFTEA mandate, such as those addressing the calculation methodology. This should be done via an interim final rule, they said, so that U.S. manufacturers can fully utilize the duty drawback program without further delay. © , Sandler, Travis & Rosenberg, P.A. Originally published in the [07/23/2018] issue of the Sandler, Travis & Rosenberg Trade Report. Reprinted by permission.